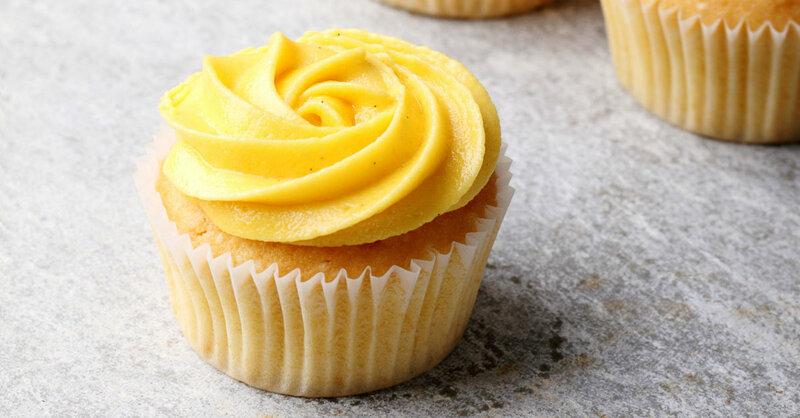 On Cakes, Cupcakes And Cookies – We’ve Got The Perfect Buttercream Frosting!! There are so many different ways you can frost a cake these days, but we like to keep things simple with our perfect buttercream frosting. We tested out a ton of different versions before finally settling on this one and we’ve gotta say: other frostings just don’t compare! We like our frosting to be sweet (obviously) but not too sweet, so we use less sugar than others we’ve come across; paired with the addition of a little bit of salt, this whipped confection is absolutely delicious with any cake or cupcake you like, and you don’t have to worry about it being cloying! Plus, by adding less milk or cream than other variations, this recipe is excellent for (cup)cake decorating when you want your frosting to stay right where it is…rosette-frosted cake, here we come! Beat softened butter and salt on medium speed in a large bowl or mixer for 2-3 minutes, or until fluffy and lightened in color. In batches, add powdered sugar and beat until fully incorporated. Mix in vanilla extract and 2 teaspoons heavy cream. Beat frosting for another 1 minute (and add food coloring, if using), then go ahead and frost your dessert!